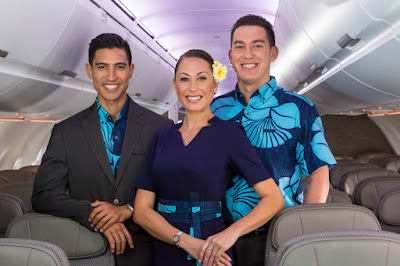 It's no secret that Hawaiian Airlines is our family's airline of choice. 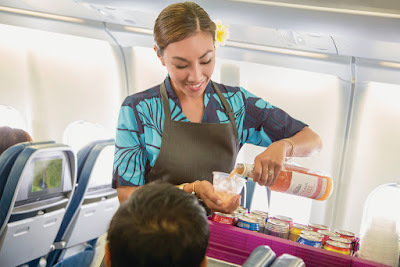 Whether it's for a short hop to a neighbor island, a vacation to the West Coast, or an international adventure, we find ourselves traveling on Hawaiian Airlines multiple times a year. 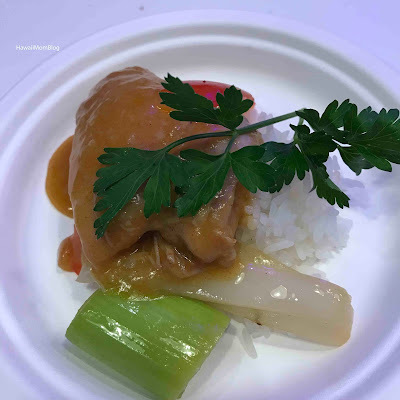 I love that Hawaiian Airlines continues to serve complimentary meals on its transpacific flights - the only US carrier that does so! 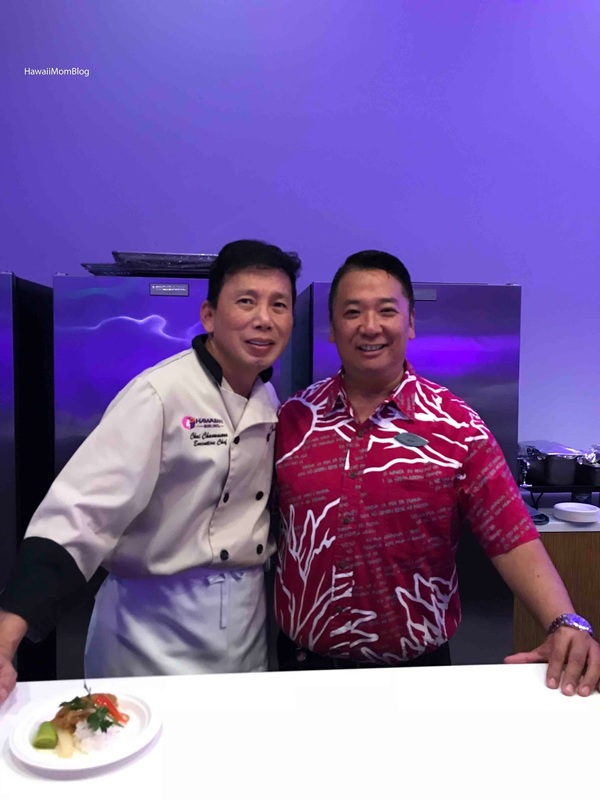 Earlier in the week I was excited to visit Hawaiian Airlines Headquarters to sample its new menu, which begins on December 1! 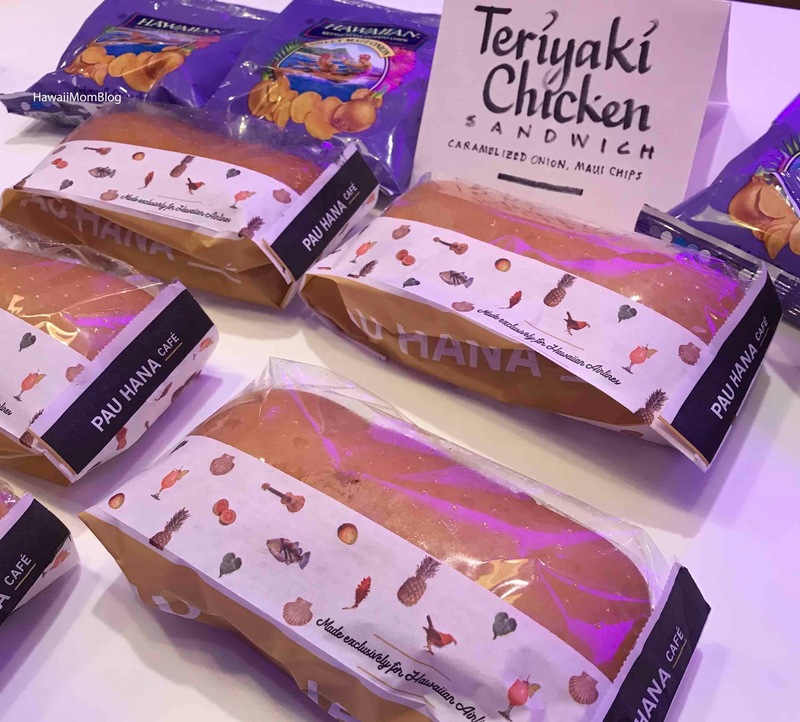 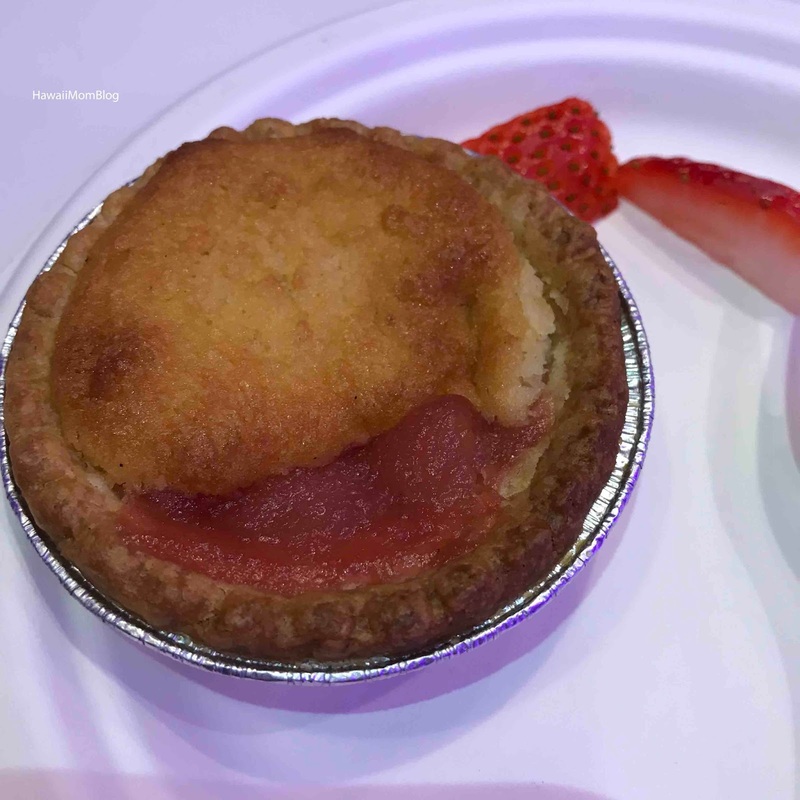 For those in the main cabin on flights between Hawaii and the Western U.S. gateway cities, a new complimentary meal program, the Pau Hāna Café, will be introduced, as preparations are made for the roll-out of the single aisle A321neo aircraft early next year. 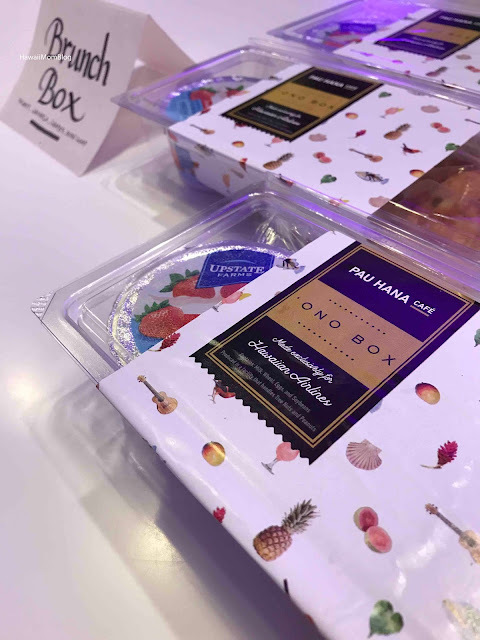 The Pau Hāna Café (Pau Hana means "finished work" in Hawaiian) will include a continental breakfast box for brunch, and a hot sandwich and side for lunch. 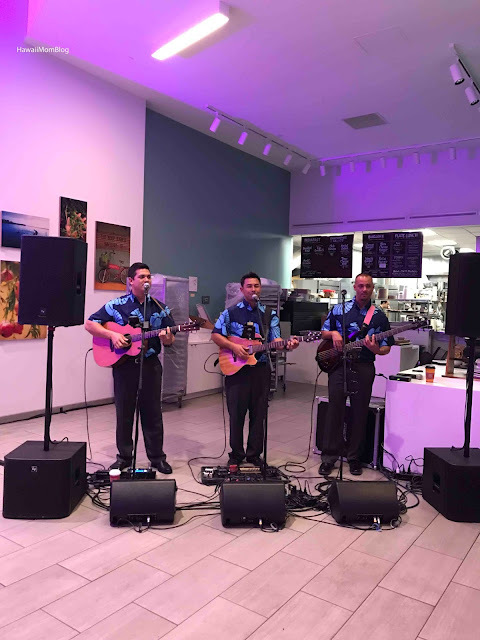 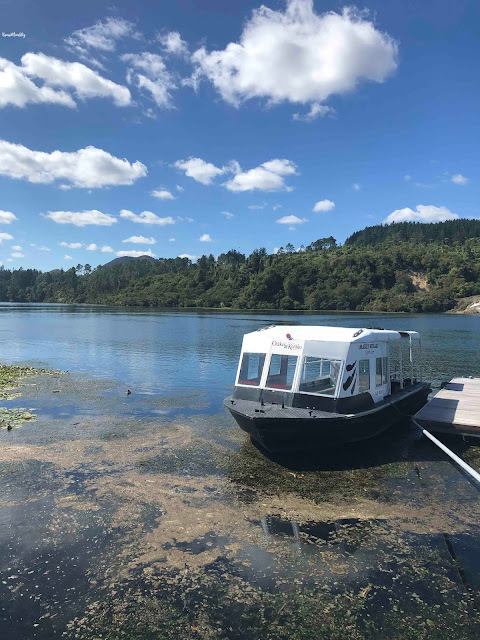 The meal service will be followed by coffee and dessert, and a Mahalo service will feature a Koloa Breeze cocktail and the signature Pau Hāna snack mix. Those traveling in First Class from Hawaii to North America will be served dishes by Featured Chef Wade Ueoka of MW Restaurant. 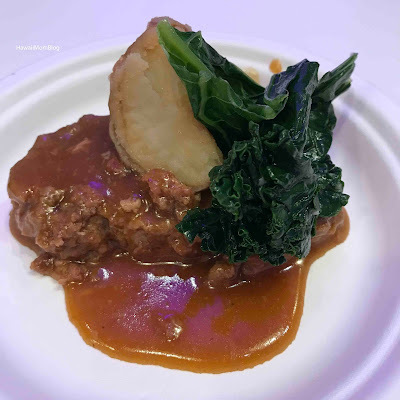 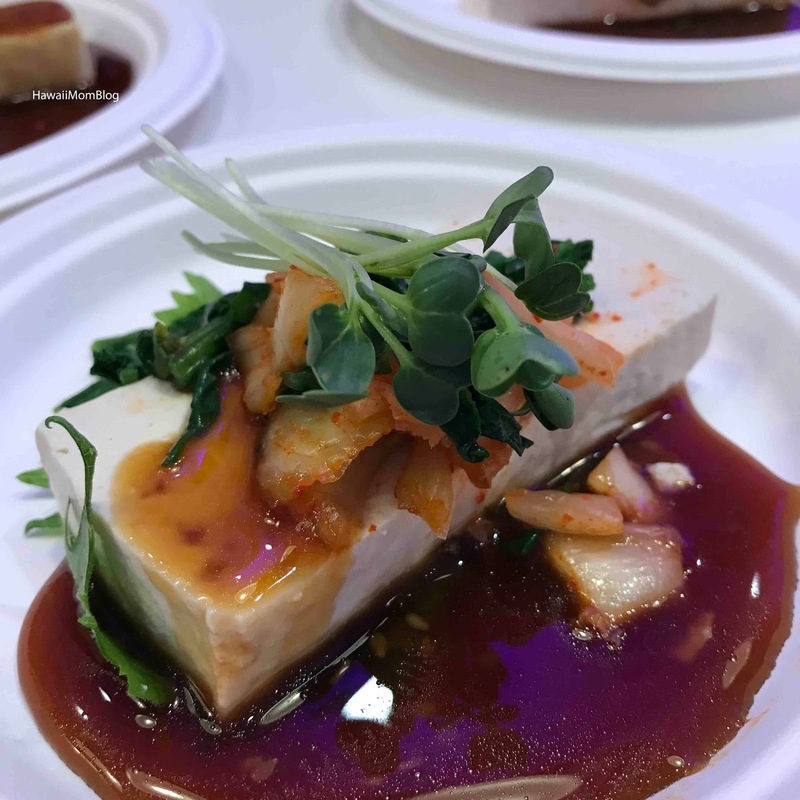 Chef Wade’s meal cycle runs through June 2018, and we were fortunate to sample a tofu salad with kimchi, watercress, kaiware sprouts, and yuzu kosho vinaigrette appetizer, and a beef and Portuguese sausage meatloaf with gravy, sautéed mushrooms, potatoes and kale entree. 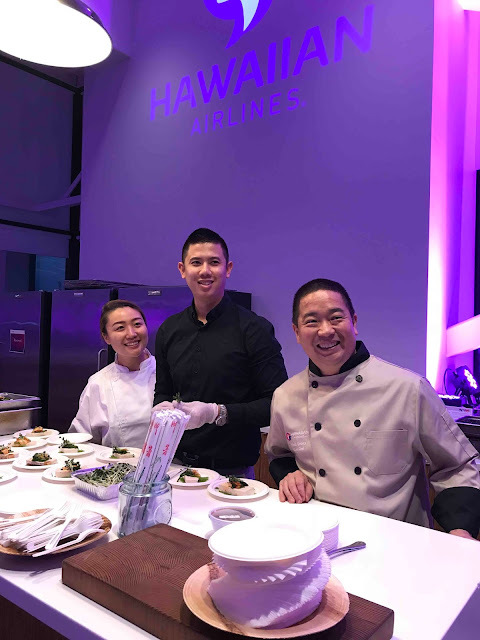 Guests traveling from North America to Hawaii will be served dishes by Hawaiian Airlines Executive Chef Chai Chaowasaree. 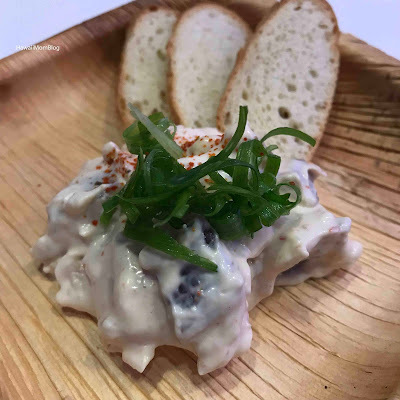 Samples of Chef Chai's seared ahi with salmon poke dip appetizer and grilled Sriracha chicken with sauteed ginger, leek, and spinach entree were served up at the event. In addition to a new menu and meal program, new uniforms by Hilo-based designer Sig Zane will debut! According to a press release, the print’s theme, Kū Mākou, or Together We Stand, is represented by the lehua blossom and 'ohe kapala (bamboo stamps) through every piece of each work group’s uniform, as applied in different scales and tonalities to prints, linings and woven elements. It's an exciting time for Hawaiian Airlines!